Essex Hemphill was born today, April 16, in 1957. He was an out gay poet and activist. He is known for his contributions to the Washington, D.C. art scene in the 1980s, and for openly discussing the topics pertinent to the African-American gay community. Hemphill was born in Chicago, Illinois. Early in his life, he moved to Washington D.C. where he attended Ballou High School. He began writing poetry at the age of 14, writing about his own thoughts, family life, and budding sexuality. After graduation, he enrolled at the University of Maryland in 1975 to study journalism. Though he left college after his freshman year, he continued to interact with the D.C. art scene: performing spoken word, working on journals, and beginning to publish his first poetry chapbooks. He would go on to achieve his degree in English at the University of the District of Columbia. In 1979, Hemphill and his colleagues started the Nethula Journal of Contemporary Literature, a publication aimed at showcasing the works of modern black artists. One of his first public readings was arranged by Nethula co-editor E. Ethelbert Miller at Howard University’s Founder Library where he performed beside and befriended filmmaker Michelle Parkerson. He also performed at other institutions, including Harvard University, University of Pennsylvania, and University of California at Los Angeles to name a few. 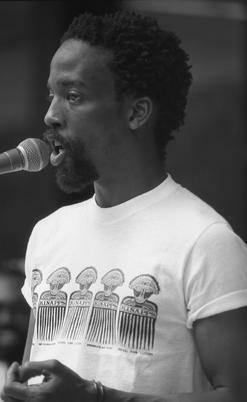 In 1982, Essex Hemphill, Larry Duckett, his close friend, and Wayson Jones, his university roommate, founded the spoken word group called "Cinque," which performed in the Washington D.C. area. Hemphill continued performing his rhythmic, spoken word poetry, and in 1983, received a grant from Washington Project for the Arts to perform an "experimental dramatization" of poetry entitled Murder on Glass, alongside Parkerson and Jones. Hemphill also began publishing his own collections of poetry during this time, beginning with Diamonds Was in the Kitty and Some of the People We Love (1982), and followed by the more favorably reviewed Earth Life (1985) and Conditions (1986). He would garner more national attention when his work was included in In the Life (1986), an anthology of poems from black, gay artists, compiled by Hemphill's good friend and fellow author, Joseph F. Beam. His poetry has been published widely in journals, and his essays have appeared in Obsidian, Black Scholar, CALLALOO, and Essence among others. In 1986, Hemphill received a fellowship in poetry from the National Endowment for the Arts. Is... Black Ain't (1992) which discussed what exactly constitutes "blackness." After Beam's death from AIDS in 1988, Essex Hemphill and Beam's mother worked conjointly to publish his sequel to In the Life. 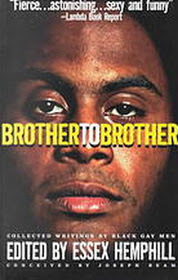 The second manuscript was published in 1991 under the title Brother to Brother: New Writings by Black Gay Men, which archived the works of about three dozen authors, including Hemphill himself. The anthology would go on to win a Lambda Literary Award. In 1992, Hemphill published his largest collection of poetry and short stories, entitled Ceremonies: Prose and Poetry, which included recent work, but also selection from his earlier poetry collections, Earth Life and Conditions. The next year, the anthology would be awarded the National Library Association's Gay, Lesbian, and Bisexual New Author Award and a Pew Charitable Trust Fellowship in the Arts. In 1993, he was a visiting scholar at the Getty Center. In the 1990s, Hemphill would rarely give information about his health, although he would occasionally talk about "being a person with AIDS." It was not until 1994 that he wrote about his experiences with the disease in his poem "Vital Signs." He died on November 4, 1995, of AIDS-related complications. After his death, December 10, 1995, was announced by three organizations (Gay Men of African Descent (GMAD), Other Countries, and Black Nations/Queer Nations?) 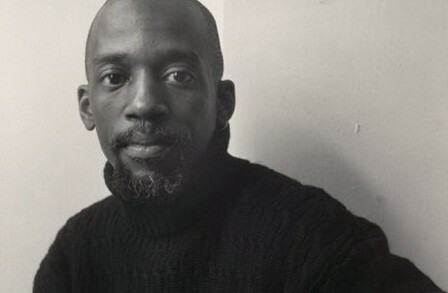 to be a National Day of Remembrance for Essex Hemphill at New York City's Lesbian and Gay Community Services Center. Much of Hemphill's poetry and spoken word was autobiographical, and portrayed his experiences as a minority in both the African-American and LGBT communities. He wrote pieces such as "Family Jewels," which conveyed his frustrations about white bigotry, specifically within the gay community. In his essay "Does Your Momma Know About me?" Hemphill criticizes photographer Robert Mapplethorpe's The Black Book, which showcased pictures of the penises of black men. Hemphill argued that excluding the faces of the black male subjects demonstrated the fetishism of African Americans by whites in the gay community. The poems and essays in Ceremonies address the sexual objectification of black men in white culture, relationships among gay black men and non-gay black men, HIV/AIDS in the black community and the meaning of family. He also goes on to critique both the institutionalized patriarchy, and dominant gender identities within society.